Queensland was where it all began for us six years ago. After staying in a hotel with our daughter Ashlee (then one) we soon realised our days of this kind of accommodation were quickly numbered. Hotels are just not made for small children! 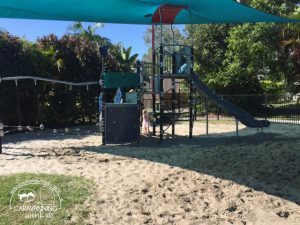 Our next trip to Queensland a holiday park called Treasure Island was recommended and this experience opened our eyes to a whole new way of travelling. 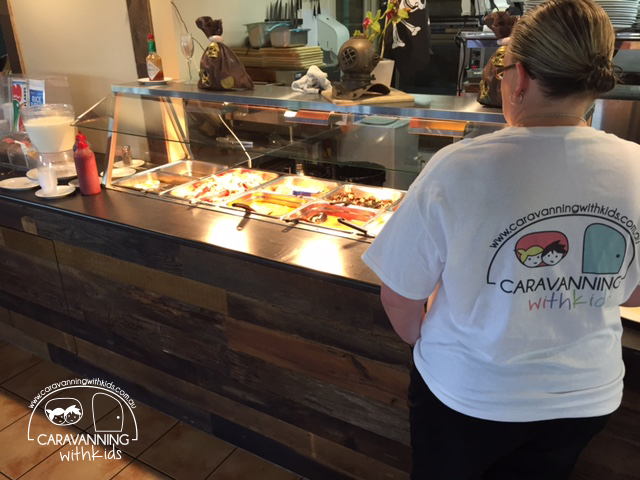 All of a sudden we understood and appreciated the caravan and holiday park industry – and we loved it! The Treasure Island Resort & Holiday Park is located within 10 minutes of many of the major Queensland theme parks and is next door to a massive shopping centre. 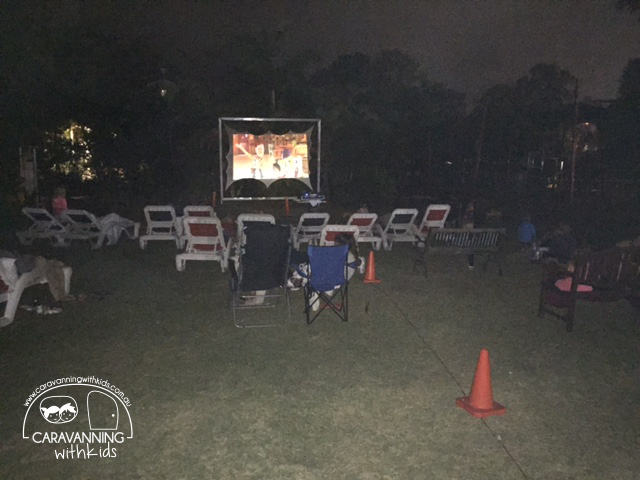 As the saying goes… location, location… This Park is close enough to the Gold Coast to do everything but without feeling of being crowded or rushed. Tick, tick, tick! Reception at The Treasure Island is slick, well staffed and covers all bases. 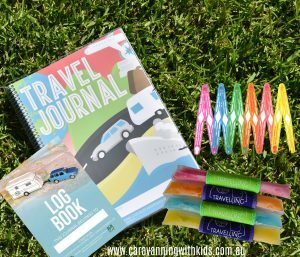 We received a handy carry bag with heaps of local flyers and information – perfect for interstate visitors. We were also given our map, security codes and funky rubber wristbands for the girls to wear around the pool areas. Check in complete, off we went to find our site. 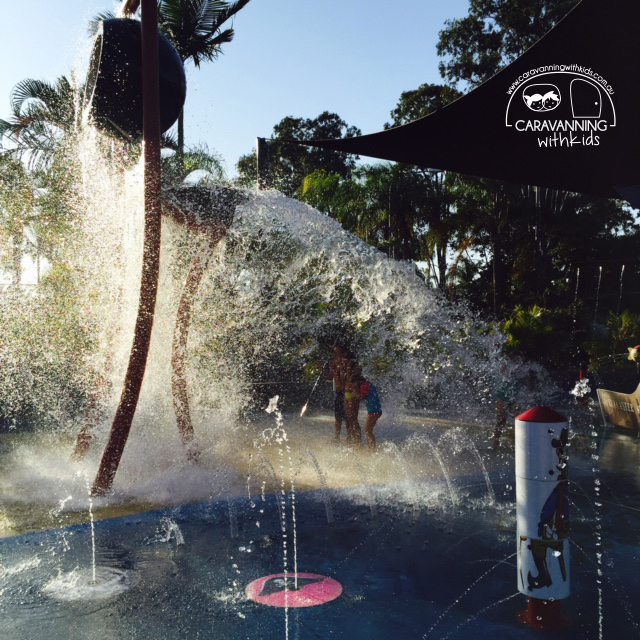 As we drove past the bistro, splash park and jumping pillow there was much admiration from the back seats of the car… the kids were raring to go! Another stand out for the whole family was the bistro. Who doesn’t love a buffet? We sure do! 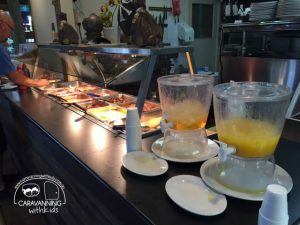 The food was restaurant quality at an affordable price. 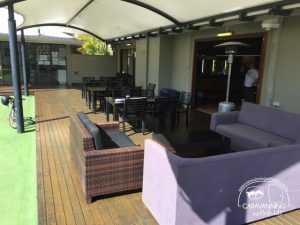 The bistro also boasts a large outdoor area that meant we could watch the kids in the splash park or on the jumping pillow whilst relaxing and having a few beers from the bar. Heaven for all! 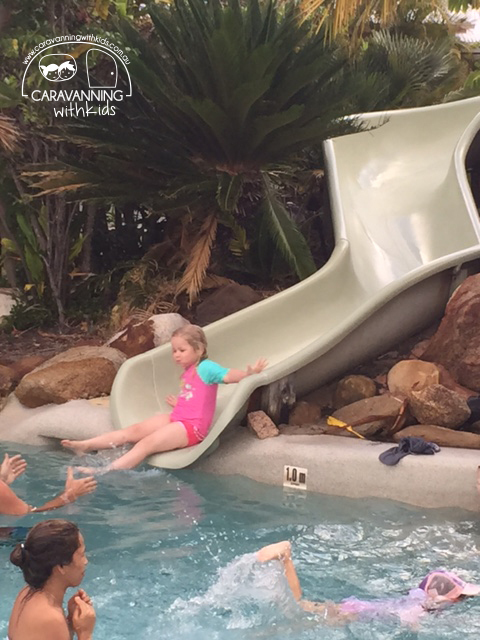 This resort style influence was welcomed after being on the road for two long days – the perfect set up for Mums and Dads to unwind. The next morning the buffet delivered once again. 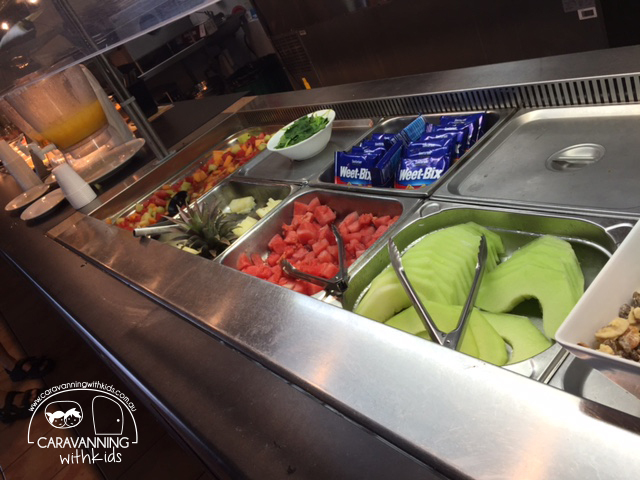 Not only was this a lovely treat for our girls, the food selection was impressive and delicious and the cost – unbelievable! There are not many places you can feed a hungry family of 4 for under $30! So what did we like about Treasure Island? Many things! 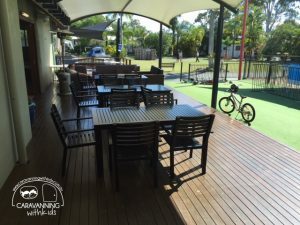 The large sites, great layout and clean facilities – everything you would except from an NRMA Holiday Park. 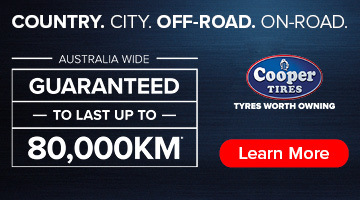 This park is more expensive being a branded one and very centrally located however it is true value for money. We are always happy to pay top dollar for a top park experience. 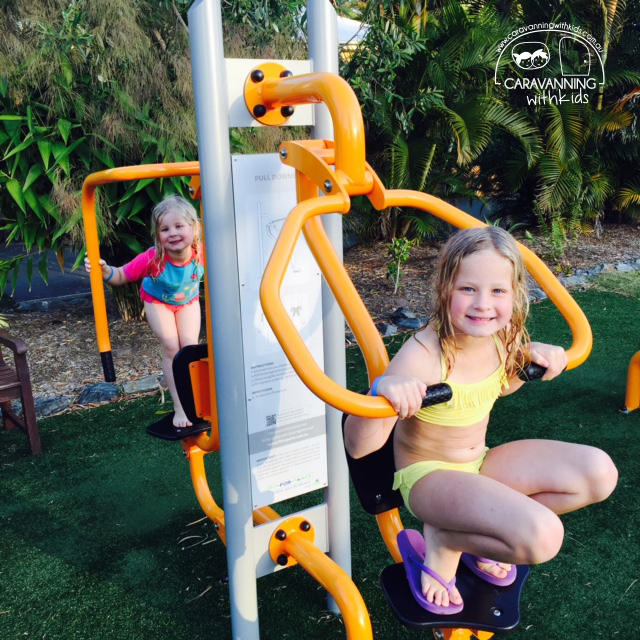 With fantastic service, facilities, activities and more we will definitely visit Treasure Island again! 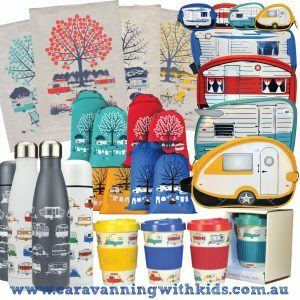 Have you checked our the super cool items we have in our shop?